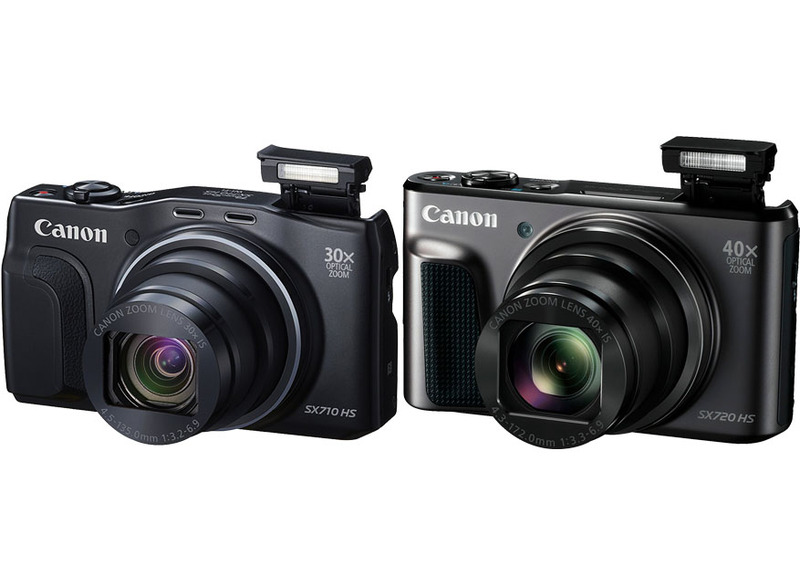 Confused between Canon Powershot SX710 HS vs SX720 HS? You definitely have come to the right place. Below, we will see the comparisons between Canon Powershot SX710 HS and Canon Powershot SX720 HS to help you choose the best digital camera for the money. It is a common thing for manufacturers to update their products in order to keep up with the competition. However, sometimes, people wonder whether the updated models really come with better features, or if the whole thing is only a rebrand. Canon Powershot SX710 HS was introduced for the first time into the market in 2015, and has been quite popular ever since. In 2016, the company released Canon Powershot SX720 HS. The improvements include a better zoom lens and increased battery life. Which model does hold the best value for the money? To begin with, let’s see the price difference between Canon Powershot SX710 HS vs SX720 HS. 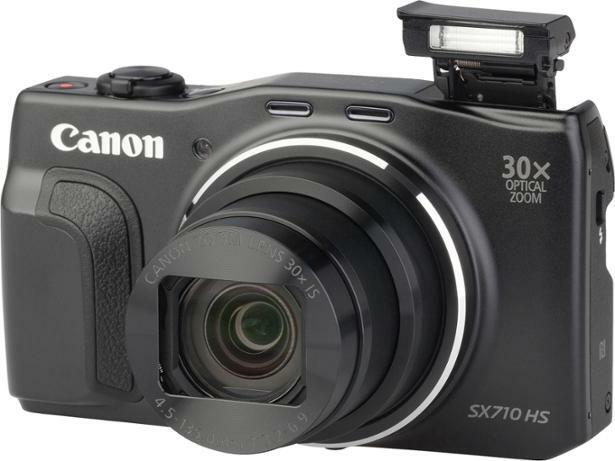 Although they were initially sold at the same price point, Canon Powershot SX710 HS is now cheaper because it is an older model. It is available for less than three hundred dollars. On the other hand, Canon Powershot SX720 HS is more expensive due to being newer, with a price tag of slightly over three hundred dollars.Also a popular choice, take a look at Canon Powershot SX710 HS vs Sony RX100. These two digital cameras are about the same size. They are equally slim, compact, and lightweight. Very portable. These are excellent digital cameras that can be conveniently brought along in your trips and travels. However, there are several subtle changes and improvements that make the new model better than the old one. First, on the front panel of Canon Powershot SX720 HS, you can find a better grip area. Previously, the grip area of Canon Powershot SX710 HS is very narrow and not very textured. The new model now has a wider grip area with highly textured rubber. The grip area is also more embossed, allowing for solid and comfortable handling. Both models also come with integrated flash lights. The flash can be slipped into the body when not needed, and easily pulled out whenever you need some extra lighting. Nevertheless, on the rear panel, there isn’t much of a change.Unfortunately, they don’t have an articulating display screen, so taking selfies with these cameras can be pretty difficult. Each of the two digital cameras still has a three-inch fixed-type display screen. There are various function and navigation buttons right next to the display screen, along with a dial control for easy and quick access to essential features. As mentioned above, one of the primary differences between Canon Powershot SX710 HS vs SX720 HS is the lens. The old model is equipped with a 25 – 700 mm F/3.2-6.9 zoom lens, which is a good zoom lens. 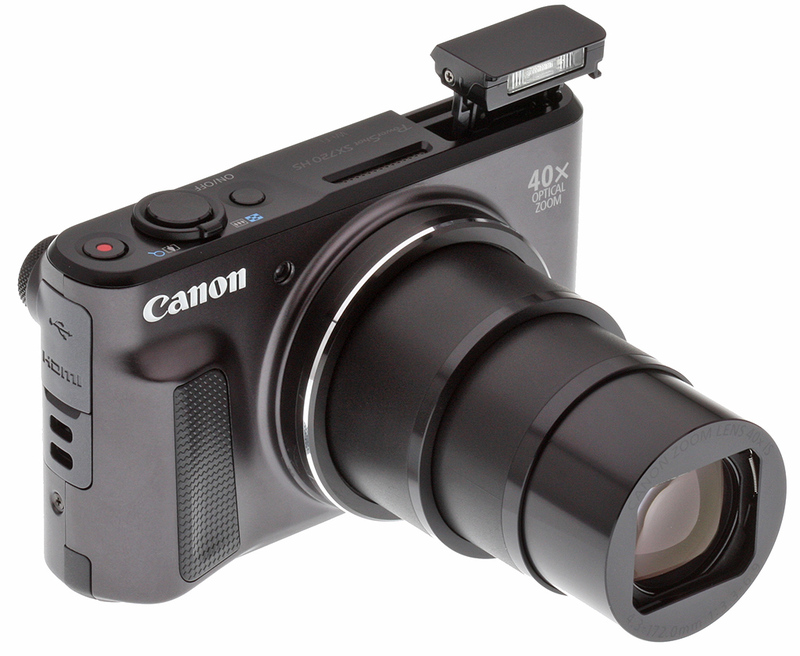 It can give you a maximum optical zoom level of 30x. That’s already a decent zoom level. However, Canon Powershot SX720 HS is given an even better one, a 24 – 960 mm F/3.3-6.9 zoom lens with a maximum optical zoom level of 40x. The increased zooming power can be handy if you indeed often shoot from far distances, but not a significant feature if you rarely shoot by zooming. However, despite the higher price, the new SX720 HS still uses the same image sensor as the old SX710 HS. Not that it is a bad image sensor, not at all. But people usually expect improved performance and image quality from an updated model. And the sensor size is still a thing that can be improved upon. The image sensor has an optical resolution of 20 MP, and a sensor size of 1/2.3”. Well, to be fair, this sensor size is the staple of most compact digital cameras. And the resolution is already quite high. But the small sensor size usually results in low ISO range and bad low-light performance. On the good side, both cameras have backside-illuminated (BSI) image sensors. A BSI image sensor utilizes a particular arrangement of imaging elements that increases the amount of light that can be captured, effectively improving the low-light performance. As the result, both Canon Powershot SX710 HS and Canon Powershot SX720 HS are able to shoot images in a low-light condition with decent results. Although the placement is similar, the flash of Canon Powershot SX720 HS has better coverage. The flash is noticeably more powerful, able to reach 4 meters away, as opposed to the previous model’s 3.5 meters maximum flash coverage. In terms of performance, Canon Powershot SX710 HS and Canon Powershot SX720 HS are quite identical. They still have the same ISO range of 80 – 3200, with similar shutter speeds. Well, the SX710 HS is rated to have a slightly higher continuous shooting speed of 6.0 fps. The SX720 HS has a continuous shooting speed of 5.9 fps. As you can see, the difference is very trivial. Both models support manual focusing and manual exposure control. They also don’t support the RAW format. They only shoot in JPEG. So, these digital cameras are not suitable for sports photography. Professional photographers usually prefer a camera that supports RAW. Both models also come with built-in Wi-Fi and NFC. You can connect your mobile device to either camera wirelessly for file transfer and remote control. Finally, the noticeable difference between Canon Powershot SX710 HS vs SX720 HS is the battery life. The old model is only able to shoot about 230 shots per charge. Meanwhile, the new model is equipped with a better battery that enables up to 250 shots per charge. Well, the improvement is not very dramatic, but still appreciable. So, should you choose SX710 HS or SX720 HS? The improved grip, better zoom lens, and improved battery life are indeed good things, but the price difference is also quite significant. In general, you should choose Canon Powershot SX720 HS if you can benefit from the increased zoom levels. You may also choose this model if you like the improved handling. Otherwise, just choose Canon Powershot SX710 HS, which already has similar features and image quality.